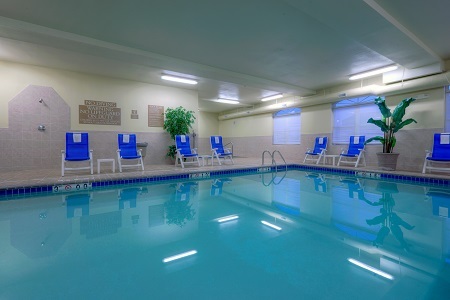 Conveniently located off I-95, the Country Inn & Suites® by Radisson, Emporia, VA sits off Exit 11A on Route 58. 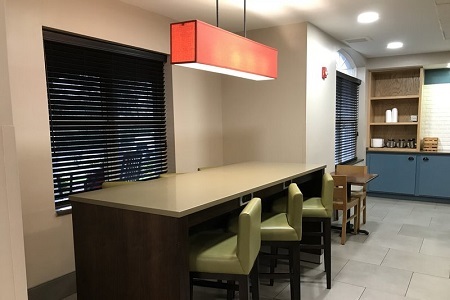 Surrounded by shops, gas stations and restaurants, our hotel makes an ideal stop for travelers passing through or in town for business. We also welcome your four-legged family members to stay in our spacious rooms. 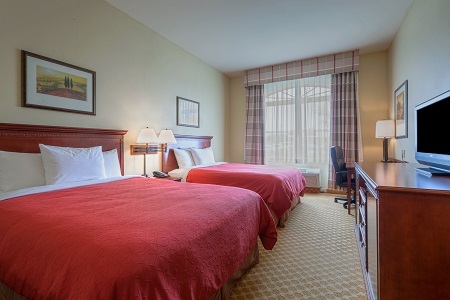 For added space, reserve our One-bedroom Suite so that everyone in your group has a comfortable place to sleep. Join us each morning for bagels, fresh fruit and more at our free, hot breakfast before you continue your journey along I-95 or head to a downtown meeting. 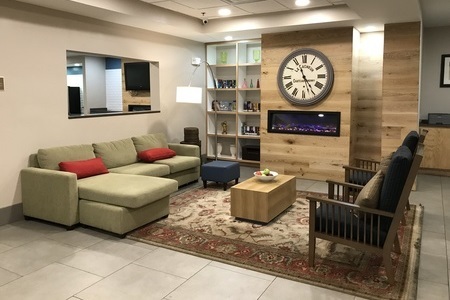 We also offer coffee and cookies in the lobby 24 hours a day, perfect for an afternoon pick-me-up or an early start to the day. For lunch and dinner, you can walk or drive to several nearby restaurants, including favorites like Applebee’s and Cracker Barrel. For some local flavor, head to Homeplate Grill and Cafe, which serves homestyle dishes like chuckwagon sandwiches and fried fish. Village View Mansion House – Head two miles south to see this beautiful home that was built by James Wall in the 1790s. This mansion gives visitors a glimpse of Virginia life during the early 1800s, through the Civil War and into the turn of the century. Lake Gaston – Located along the Virginia/North Carolina border between I-85 and I-95, Lake Gaston provides plenty of waterfront fun just 45 minutes away. Rent a boat or fish for largemouth bass in this 20,300-acre reservoir. Fort Christanna – Half an hour from the hotel, this pentagon-shaped fort was built in the early 1700s to defend and educate both local settlers and Native Americans. You can walk along the outline of the former fort before enjoying a picnic in this park-like setting. 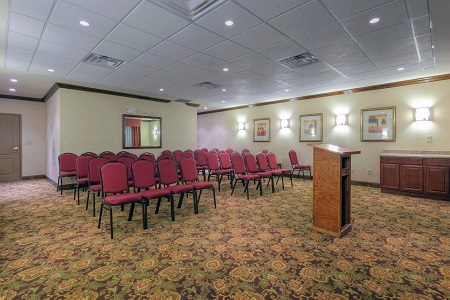 For a convenient venue off I-95, reserve our 625-square-foot meeting room, which is suitable for a variety of gatherings and includes free high-speed Internet access. Allow our friendly staff to assist with planning, setting up audiovisual equipment and arranging catering options.